"I believe you have captured the inner most feelings of young children. The clarity of reassurance of the child's safety and his/her remaining an integral part of the nuclear family (under the duress of illness) and being able to contribute to the parent's well being resonates in the prose. Simplicity of explanation is necessary in answering difficult questions that children pose to adults, and you have been successful in doing this with your book. The illustrations are soft, discernible, rich in color and most probably, aligned with children's visualizations of the world in which they live." "I will be using it in my practice as a resource and reference. Unfortunately, I am faced with the issue of a parent's cancer and/or relative's cancer much too frequently in my patient roster." "Congratulations to you and your cousin. 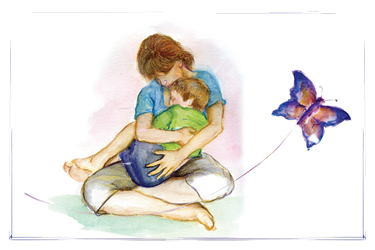 You have filled a niche in children's literature that will be welcomed by parents, teachers and therapists." "My own mother died from breast cancer when I was 8 years old. My sister, Lisa, was only five. To this day, I can so vividly remember the confusion I felt, trying to understand why our world was suddenly turned upside down and why no one wanted to talk about it. .... How I wish we had Butterfly Kisses and Wishes on Wings - what a gift it would have been! ... This book is precious and full of wonderful messages that are so important and will make such a difference in so many little hearts." "Butterfly Kisses and Wishes on Wings is a gem. This is a very important book with a very powerful message. 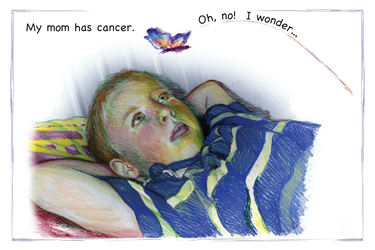 A beautiful work of art that educates children about medical and psychological issues relating to cancer, it is also a gift for the loved one with cancer." "As the public television personality Doc Neil the Banana Peel, I have had the opportunity to perform for kids and adults with cancer to help them relax and enjoy life. For a patient with cancer, there is no better gift than the comforting words and hugs from a kid who understands. It brightens the day. Butterfly Kisses and Wishes on Wings provides a pathway to this gift." Neil Shulman, MD, author of What's in a Doctor's Bag? 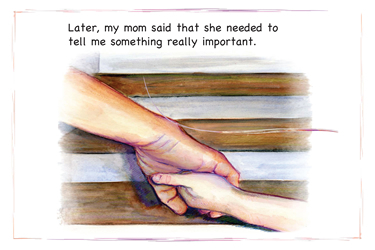 "The most beautiful book for parents to read to their children... A resource about how to talk to a child about a parent's cancer diagnosis... The best book on this subject that I've seen yet." 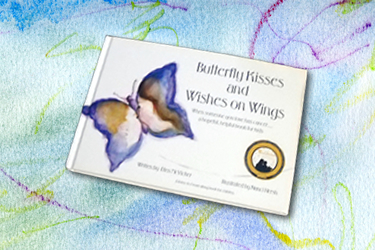 "I read Butterfly Kisses and Wishes on Wings with my 6 year old daughter. She loved the book. Her comment was "How did the book know what I was thinking?" Your book handled the subject matter with dignity and grace." "Your book really does address extremely well an area that many people forget about during a cancer diagnosis -- the impact on the children. They are often the forgotten ones in the crisis. Making children a part of that time is so important--for everyone. I remember I used to use what I called "love therapy." I would hug my boys so tightly that I was convinced it was making me better, because I couldn't possibly imagine not being there for them. Well, it worked." 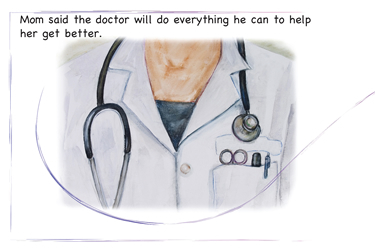 "Did you know that some of the best medicine for some diseases is love and lots of help? I learned that and other things from Mrs. McVicker's book, Butterfly Kisses and Wishes on Wings. If anyone wants to read something about cancer, Mrs. McVicker's book is the right way to go." "I learned that you can help people with cancer, even though you are not a doctor, by cleaning your room. This is the best book I ever read that teaches me about cancer." "You cannot get cancer from anyone, even if you share your food, or even cuddle up." "I learned you can still make people happy even if they have cancer." 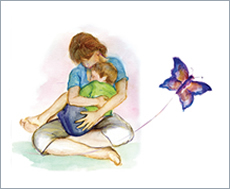 "Butterfly Kisses and Wishes on Wings taught me that you can't catch cancer and that means you can hug and kiss as much as you want that also helps them feel much better. You can draw pictures and do LOTS of stuff to help them. It's great! And remember, Mrs. McVicker taught this to me so you can know, too."